It is a typical winter morning but only thing different today..scratch that..the two things different today is I was able to make a perfect cup of Chai Latte and I am typing this blog on my new Mac..(read struggling.) I will probably save sharing my struggles with you some other day..for today I will focus on my Chai Latte. 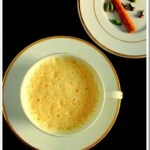 I am not much of a coffee drinker but I can always enjoy a cup of Starbucks Chai Latte on a cold morning like today. 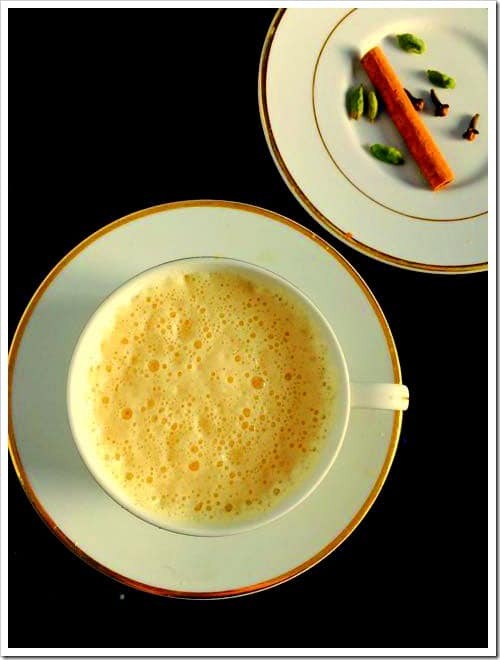 If you are already a tea drinker and a maker, you can master this recipe in no time..all it needs is the Ikea stirrer and a few spices thrown in. Enjoy! In a saucepan, add water, spices, ginger and sugar and bring them to boil. When the water starts to boil, add the tea leaves and take it off heat. Let the tea steep in for 5 minutes.